Our collection pieces are our signature designs; tried and true, their standard sizing makes them perfect for any home. If you’d like any small changes to our collection pieces, you can always personalize any order...we create custom pieces, not cookie cutter item numbers. 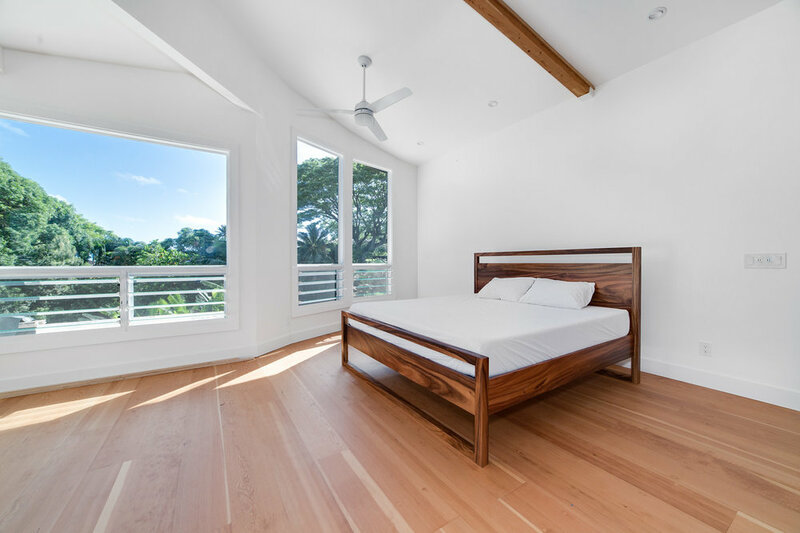 Sourcing local and sustainable materials since 2009, every one of our handmade furniture pieces is crafted in our Kakaako workshop. 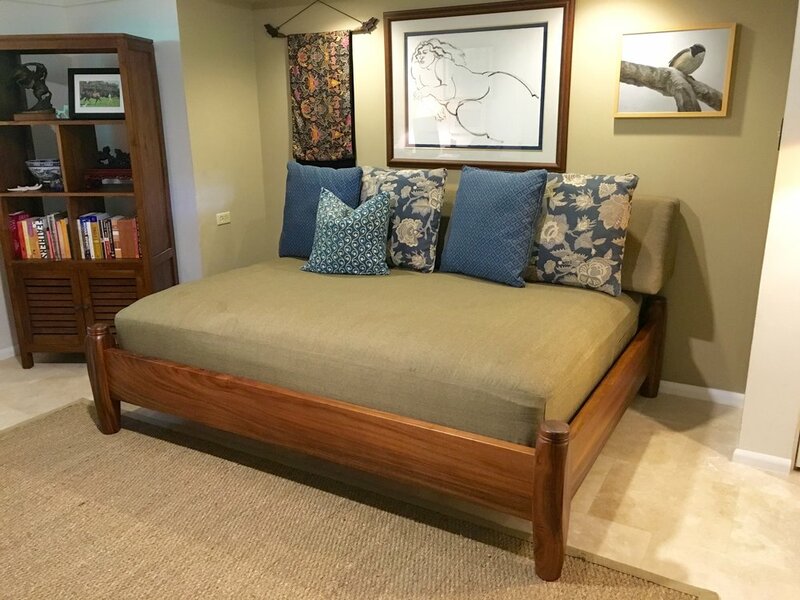 Known for our commitment to quality and service, the Honolulu Furniture Company team is led by Thorben Wuttke, a German craftsman who brings more than twenty years of woodworking experience, an impeccable sense of design, and his crystal-clear fixation on improving his business and products each and every day. In each piece we produce, our clean, contemporary design speaks for itself; we allow the quality of our raw materials to shine, unencumbered by fussy details and adornments. Built to last through the generations, our heirloom quality pieces showcase investment-worthy value. 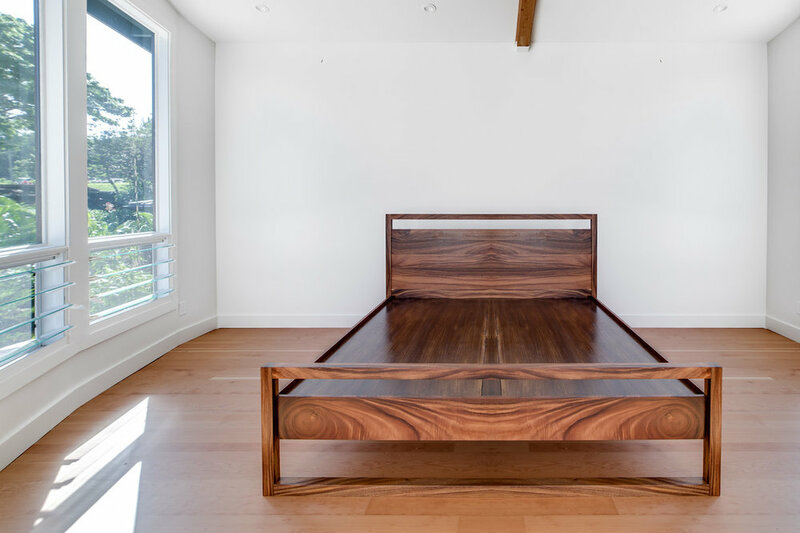 Made of locally sourced Monkeypod wood our studio collection bed frame comes in all sizes. All dimensions are flexible. The one shown here has 8" rails with 10" space underneath. The headboard measures 50"high. The rails of the bed come are connected woth heavy duty metal bed connectors and is easily assembled and taken apart. Made of locally sourced Monkeypod wood our studio collection punee comes in all sizes.